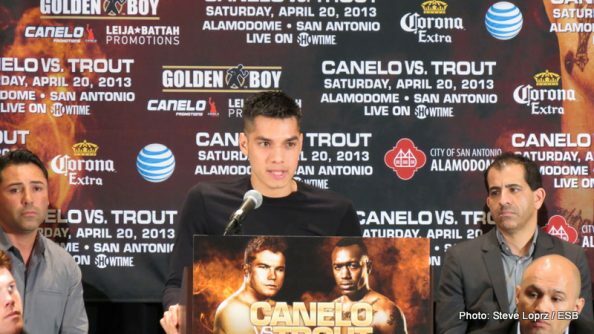 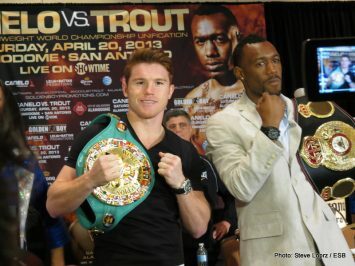 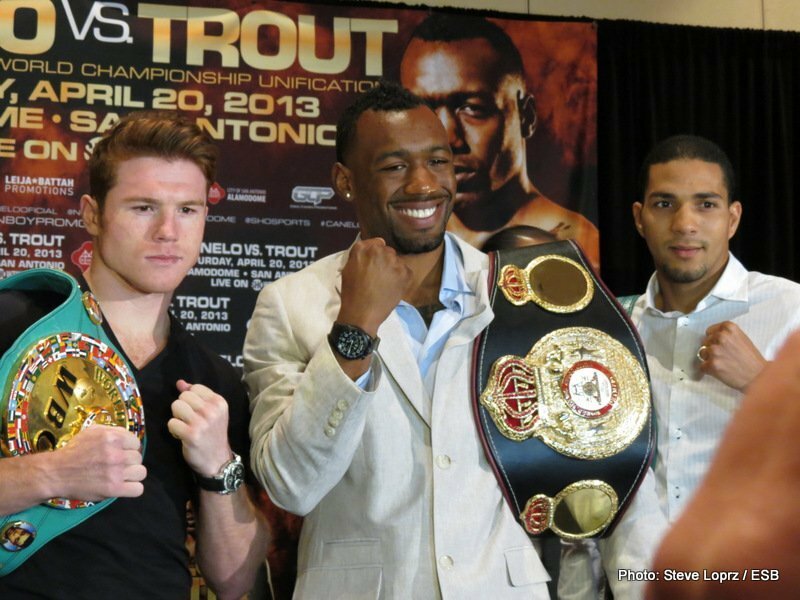 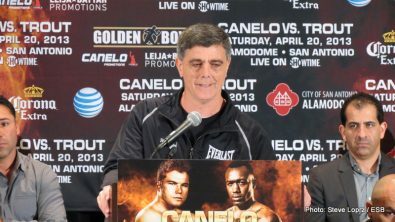 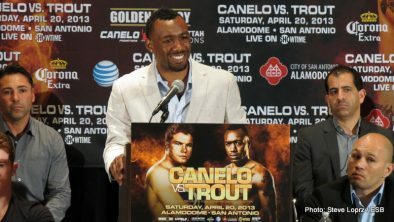 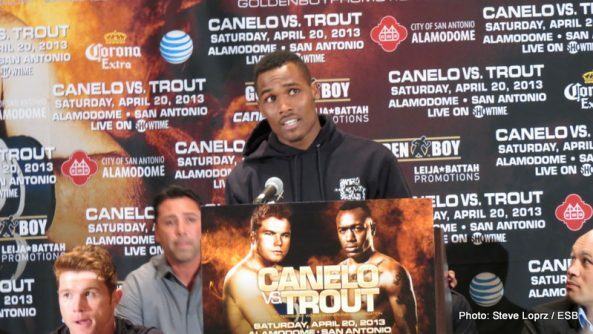 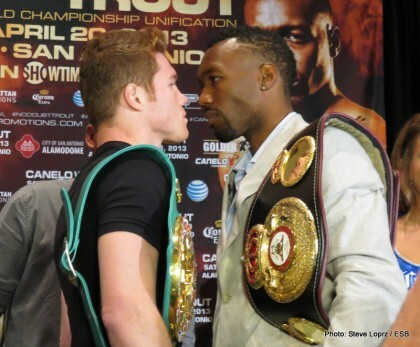 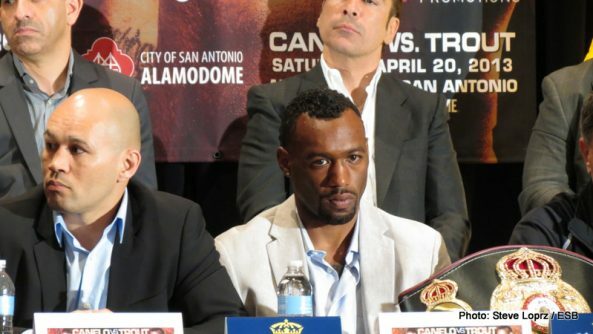 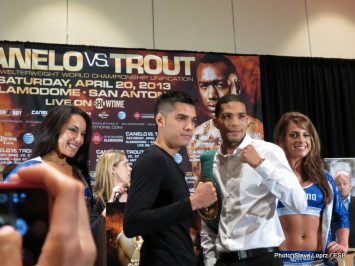 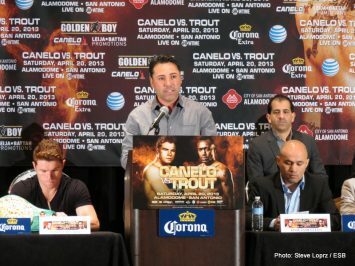 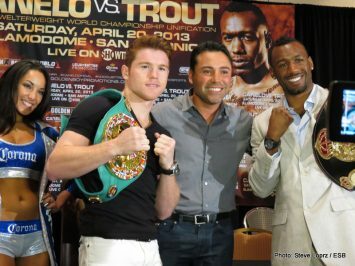 The boxing buzz continued in San Antonio, TX with Day 2 of the Saul Alvarez VS. Austin Trout fight week. 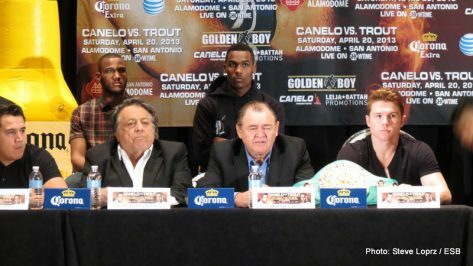 Day 2 consisted of the Final Press Conference to officially provide closing remarks from the fighters, trainers and promotion managers. 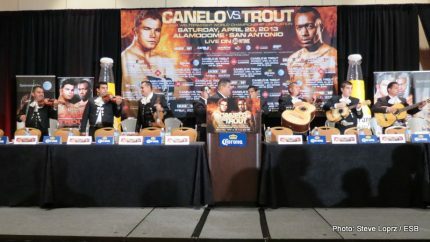 Media members from all avenues ranging from television stations/networks, news columnists, internet media and local broadcasting gathered to provide exclusive coverage of the Super Middleweight unification showdown taking place in a few days at the Alamodome. 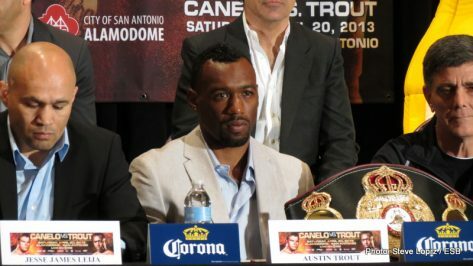 If media individuals were expecting scuffles and bittersweet trash talking from either camp, those individuals were surely disappointed. 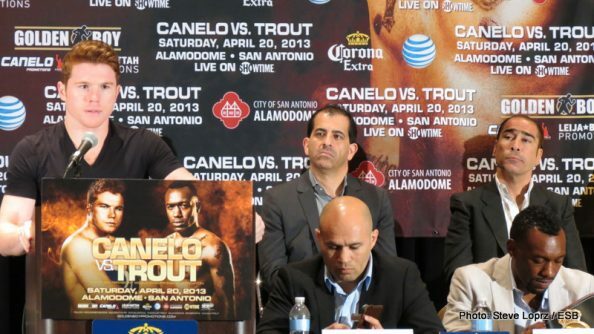 On the contrary, all of the fighters and camp members, along with promotional representatives, exerted the utmost professionalism towards their opponents and media members. 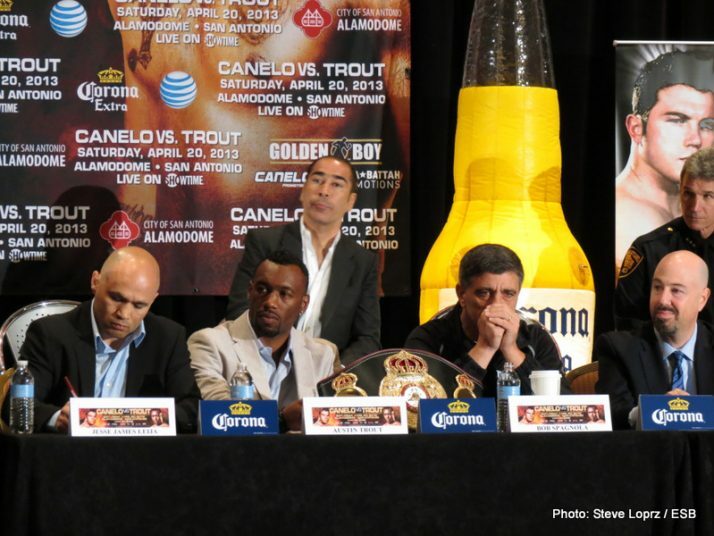 With over 35,000 tickets already sold and countless viewers scheduled to tune in on the Showtime Championship Boxing telecast, this event requires no additional tactics to promote itself. 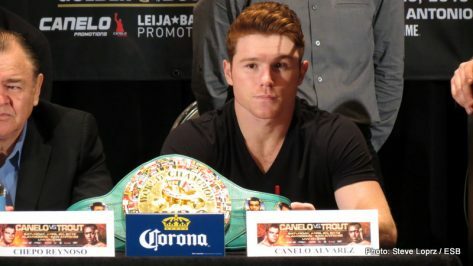 Beaming with confidence, fighters provided closing remarks and promised a victory to maintain their undefeated record along with adding another championship belt to their waist. 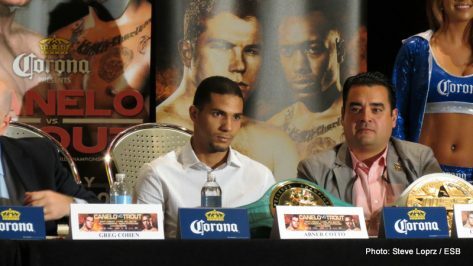 There were also appearances from Puerto Rican super star Miguel Angel Cotto to show promotional support through Miguel Cotto Promotions for his relative fighting on the card: Abner Cotto. 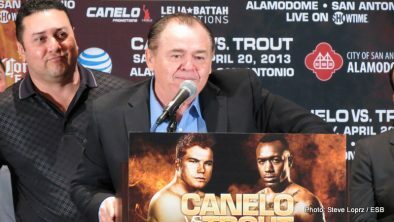 In addition, WBC’s Jose Sulaiman took the stand to provide support for Mexican superstar Saul Alvarez. 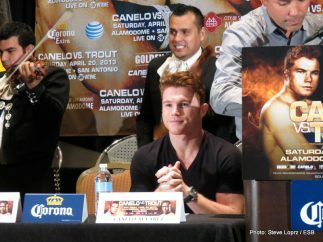 Day 3 will end the fight week activities with the official weigh in for all of the fighters on the card, both televised and untelevised. 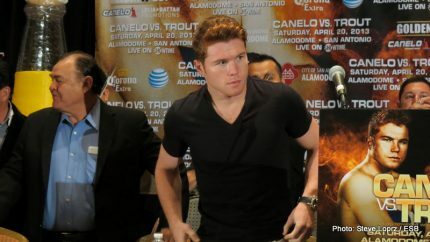 Here are some notable quotes and visuals from the final press conference.